After graduating from a magic academy, 10-year-old genius Negi Springfield is assigned to a Japanese school as an English teacher for practical training. Mahou Sensei Negima! 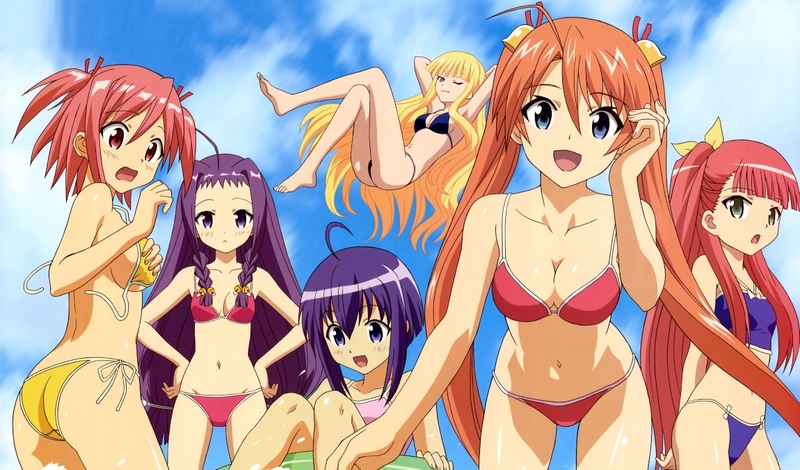 is a manga series written and illustrated by Ken Akamatsu, known for his best selling title Love Hina. It was serialized in Weekly Shounen Magazine from 2003 to 2012. Early on during the airing of Shaft’s adaptation it was supplemented by two OVA’s titled Negima!? Haru and Negima!? Natsu these used the same character designs and were basically fanservice OVA’s loosely adapting some chapters from the manga but still taking place in the Negima!? continuity. In 2008 with Mahou Sensei Negima! Shiroki Tsubasa Ala Alba it received its first great adaptation of the source. During 2009 and 2010 5 OVA’s were produced again by Shaft as a follow-up to Ala Alba titled Mahou Sensei Negima! Mou Hitotsu no Sekai it adapts a couple of chapters of the Journey to Magic World Arc. Lastly in 2011 Mahou Sensei Negima! Anime Final was released. Akiyuki Shinbou, Ken Akamatsu, SHAFT. Bookmark.